Walking up 31st street, in today’s post. I’ve always wondered about the usage of “up” and “down” when referring to local destinations, since such determinations should logically be circumstance based. Saying that, I know people who say “up on Ditmars” that actually live there and everyone in Astoria refers to Queens Plaza and Long Island City as “down there.” It’s weird. Additionally, you ever notice that most people will say “I HAVE to go into the City” versus “I WANT to go into the City”? Manhattan is the place for “have to” I guess. 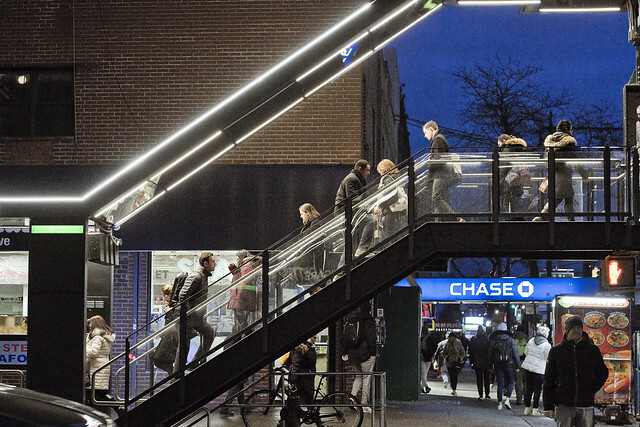 If you live in Astoria, and you “have to” you either need to go down to Broadway for the R/M subway, or over to 31st street for the N/W elevated. As mentioned yesterday, 31st street in Astoria used to be Debevoise Avenue prior to the consolidation of the City of Greater New York, during and before the time that Astoria itself was part of an independent municipality called Long Island City which existed from 1870 to 1899. Before 1870, Astoria was officially a “village.” Shortly after NYC consolidation, and the opening of the Queensboro Bridge in 1909, the aforementioned subways started snaking out of Manhattan and off the bridge into Queens, and later on through underground and underwater tunnels. It’s hard to imagine today, but a century ago, Astoria was considered to be a suburb. First off, the government did not build or design the entire subway system. This is a really complicated subject, btw, and I’d recommend talking to the actual historical experts at the NYC Transit Museum about it if you’re interested. NYC underwrote and facilitated a lot of the system, but the subways were built largely by two private companies – the IRT or “Inter Borough Rapid Transit Company” (which had already merged with and devoured the BRT or Brooklyn Rapid Transit Company) and the BMT or “Brooklyn Manahattan Transit Corporation.” There was also an IND or “Independent City-Owned Rapid Transit Railroad,” which was – in fact – a governmental entity. IRT (MTA “A” division) and BMT (MTA “B” division) built lines have different car widths and specifications, meaning that even today – more than a hundred years later – you can’t run one Division’s train set through another’s station due to the width of the cars and platforms. Same sort of thing is true for LIRR and Metro North, believe it or not. The BMT Astoria line tracks were originally part of the IRT system, just like the Flushing or 7 line. Both use a platform at the Queensboro Bridge, but they split up after that station to work their different routes. The Astoria line opened on the 1st of February in 1917, and its station specifications were built to IRT (Inter Borough Rapid Transit Company) standards. In 1920, the 60th street tunnel opened, which allowed BMT (Brooklyn Manahattan Transit Company) trains to reach Queensboro, where you could transfer to the local bound IRT Astoria line trains. In 1923, BMT had figured out how to run their rolling stock as shuttles through IRT stations on the Flushing Line, but that didn’t last too long. In 1940, both BMT and IRT were bought by NYC from their shareholders and merged with IND into one entity owned outright by the City of New York. About 1949, as far as I’ve been able to figure it, the platforms on the Astoria line were altered to allow the wider BMT train sets to operate along it, and the Flushing line became IRT only. The Astoria line ended up becoming the northern terminus of the BMT’s Brighton/Broadway local service with the equivalent of the modern day N and W lines running up 31st street to the terminal stop at Ditmars Blvd. As a note, I have assiduously avoided writing about the Dual Contracts era for nearly a decade now. Finally trapped myself into talking about it, so mark your calendars. One thing which always occurs to me when walking up 31st street is the relative lack of street level retail activity along it. 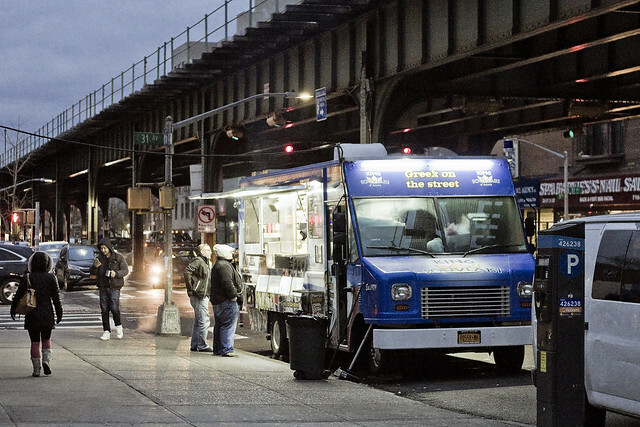 There’s shops and all that sure, but you don’t see the sort of thriving commercial activity which you do along Roosevelt Avenue under the 7 line. I’ve always wondered why. In regards to why various LIRR Metro North railroads, BMT and IRT weren’t standardized even back in 1940 was the huge expense- standardizing platforms, third rails, etc, getting rid of incompatible rolling stock and replacing it not to mention construction disruptions to service lasting years and I’m probably only just scratching the surface of this. In just the subways and EL’s alone, hundreds of stations to modify, how to widen IRT curves (think the #7 Flushing line Eagle curve among others even underground) so that BMT or IND standard cars could take them. A good deal of money was already spent in the early-mid 1950’s just to upgrade elevated lines to accept the heavier 10 car all steel cars from the older 4 car composite trains. There’s only so much that can be done and necessities have to take precedence. In a perfect world, standardization would be the way to go but it’s just too much money and too many engineering problems to solve. Those are all reasonable and fair responses, but I can’t really believe them seeing how good developing countries (Thailand – Bangkok) and countries with a number of “competing” lines (Japan – Tokyo) have it, first-hand. Where there’s money to be made keeping something the way it is, it will be kept that way, until there’s more money to be made not doing so. That may or may not be applicable here, but where you write “too much money and too many engineering problems”, I read “the institutions are too comfortable and lazy with the status quo”. Just my two tokens. Where there’s money to be made keeping something the way it is, it will be kept that way, until there’s more money to be made not doing so. That may or may not be applicable here, but where you write “too much money and too many engineering problems”, I read “the institutions are too comfortable and lazy with the status quo”. Just my two tokens, that’s all! Tommy, I’d be the first one up to criticize city management (as it was n 1940) for taking the easy way out because of short-sightedness, political laziness or corruption. Politicians and bureaucrats not being known for bold decisions and taking the long view position but it was and is a very complex problem that cannot be simply explained away with a reductionist rationale. I can see your point ” I read “the institutions are too comfortable and lazy with the status quo”. Just my two tokens.” that may well play a part of this our politicians and bureaucrats being what they are so maybe you’re right, completely or at least to some degree. Sometimes I over think things. But still l tend to not so lightly dismiss the problems and take the easy and reductionist reason as the whole reason. I’d venture the entrepreneurial mindset among the residents vis a vis the space below the tracks differs somewhat than from their analogue group over on Roosvelt. 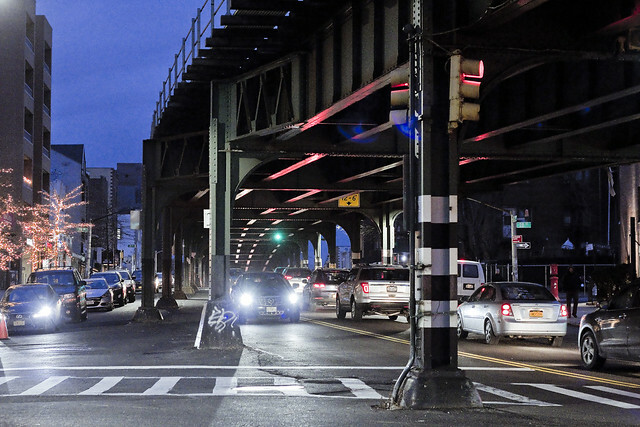 Beyond some chains, a bar or two up towards and past Astoria blvd, you don’t have much, do you? South of Broadway, there was a…McDonalds, a massage place or two (now gone), like two halal butcheries towards the LIC end, interspersed with taxi garages and such? So it’s commercial of a different sort. It’s OK Mitch – in the end, manufactured demand and glossy, glossy glass and steel facades are all you really need – I see more 7+ behemoths going up along 31st! With them will come people who need quaint, twee bars in walking distance.